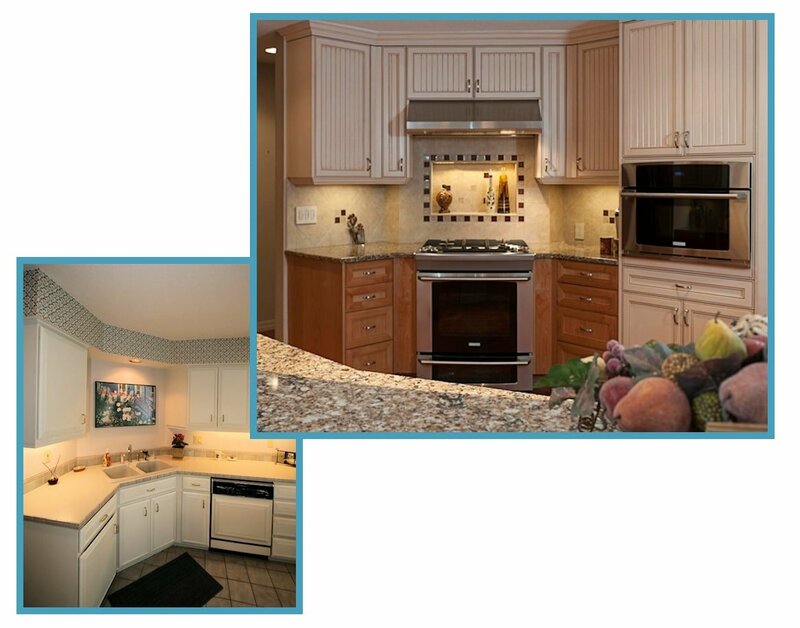 This bland kitchen, in a custom home built in 1994, needed serious help. It had laminate countertops, tile floors, and white cabinets. 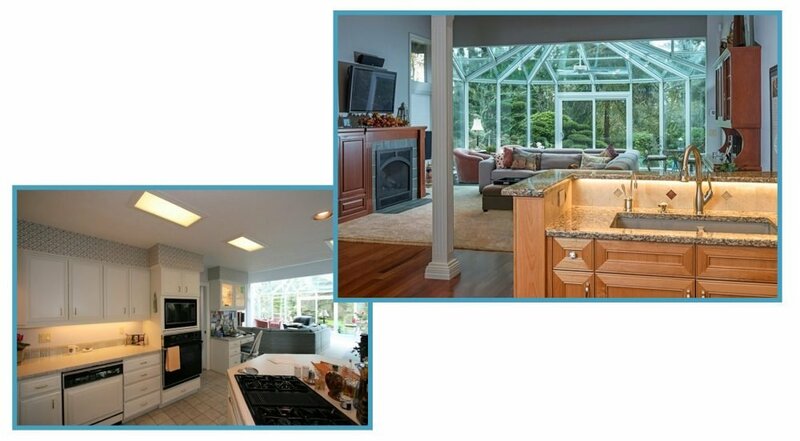 After a conservatory was built and a beautiful garden created, the homeowners realized that the cooktop and sink were in the wrong place. There was a large built-in banquette that dominated the kitchen. The homeowners had grown tired of the wallpapered soffits and the non-dimmable fluorescent lighting. 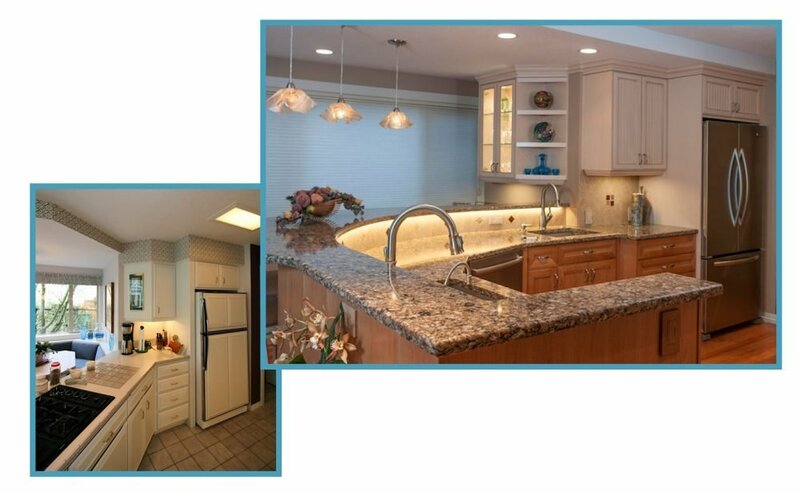 A major kitchen remodel made this a custom traditional sparkling kitchen! The layout was changed to capture the garden view, and facilitate conversation. New custom cabinets, a combination of natural alder and off-white with a glaze, add visual interest and great storage. 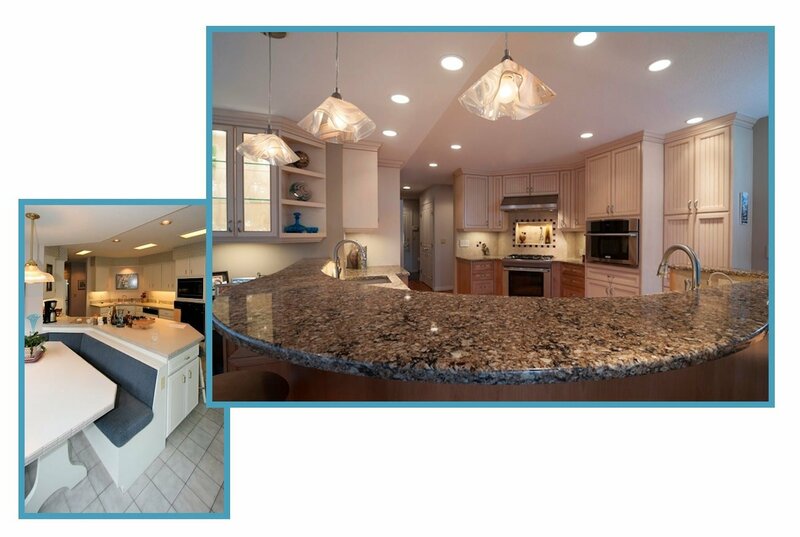 The focal point of the room is the sweeping, curved peninsula, enhanced by LED lights under the cap overhang to provide great dimmable task, ambient, and accent lighting. It really sparkles! Kitchen, Before: Built-in banquette was too large; After: Family and guests are active participants! 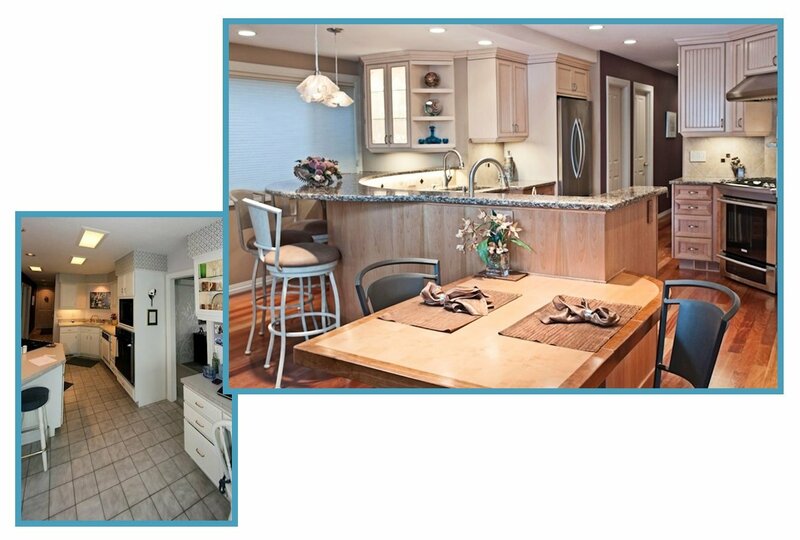 Kitchen, Before and After: The oval peninsula adds grace and great function! Kitchen, Before: View of family room wasted; After: Two rooms are joined! Corner, Before: Kitchen sink limited conversation and view; After: Better use of space! Peninsula, Before: Boring! After: Exciting!